Do you need racks and pinions perfectly tailored for a specific application in your industry? No problem: in addition to a wide selection of designs and qualities in our standards ranges, we can offer you custom-made models to suit your requirements. 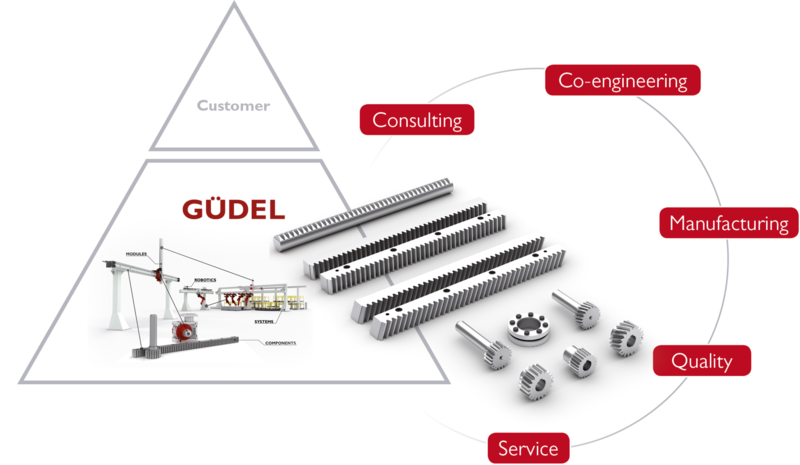 The products in the Güdel range complement each other perfectly and can be combined to form highly efficient drive chains. Hence they are perfect for high-performance drive units. A further advantage of our compact modules is the small size of these highly dynamic drive systems. In summary: Güdel drive units are almost universally applicable.